Marathon is good activities to do for your health. An overwhelming response to annual run indicates growing awareness and interest among Malaysians in leading a healthy lifestyle. 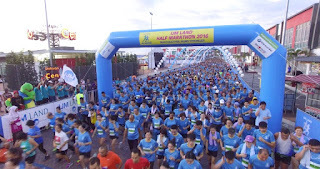 It was not long ago that Malaysia was infamously called the “fattest nation in Southeast Asia”, but if the overwhelming participation for the IJM Land Half Marathon is any indication, it appears that we may not have to suffer that title for very long. 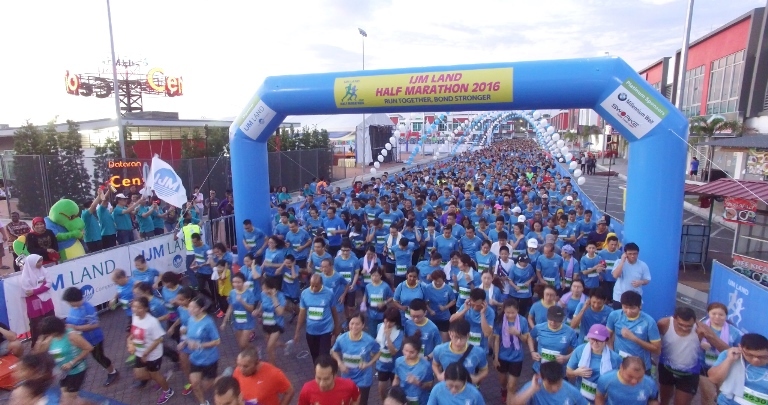 As early as 5.30 a.m, there is more than 6,000 Malaysians from all walks of life laced-up their running shoes on a recent early morning and made their way to Dataran Centrio in Seremban 2, to take part in the IJM Land Half Marathon 2016. 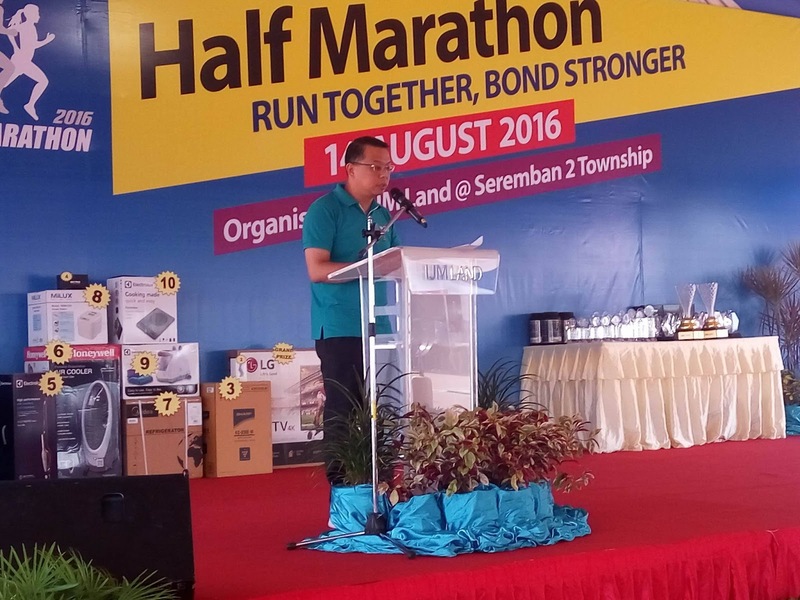 Already in its fifth year, the annual run continues to attract a strong participation and interest among the running community and members of the Seremban 2 vicinity and its surrounding neighbourhoods. 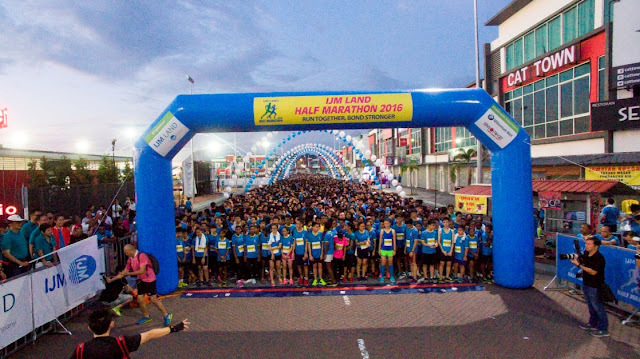 Featuring a brand new distance route of 21KM this year, the IJM Land Half Marathon is regarded as one of the most highly-anticipated annual running events in this region, and serves as a platform for IJM Land to bring together the people of Seremban 2 in support of a positive lifestyle. “Over the years, this event has captured the hearts of many diehard runners and record-breakers, as well as casual joggers. We set out from the very start to make this event not just a platform for runners but to reinforce community bonds and bring people from all walks of life together to enjoy sport, as reflected in our tagline this year: ‘Run Together, Bond Stronger’,” said Mr Edward Chong, Managing Director of IJM Land Berhad. He added that this year’s run will support two remarkable local charities, namely the Pertubuhan Hospice Negeri Sembilan (Hospice) and Malaysia Lysosomal Disease Association (MLDA). A brand new Challenge Trophy – the IJM Land Half Marathon Challenge Trophy – was introduced for the first time this year, with the objective of celebrating the fastest runners and commemorating their greatest running moments. The Challenge Trophy will be awarded to the fastest man and woman who are able to top their respective categories for three consecutive years. Aside from the 21KM (Half Marathon) categories for men and women aged 18 and above, there were also the 10KM categories for junior boys and girls aged 12 to 17 years, as well as a Fun Run category. All runners took home goodie bags by Platinum Sponsor, BMW Millennium Welt Seremban, a custom-made Finisher Medal and certificate. Meanwhile, first to tenth place winners in all six categories received Sworke Optimus eyewear (two frames with Revo Lens). Visitors and participants were also able to immerse themselves in the carnival-like atmosphere complete with plenty of free popcorn, cotton candy, balloon clowns and much, much more. There were also various other activities available including free health screening, free Traditional Chinese Medicine (TCM) consultation, organ donation drive, free spine screening and posture checks, as well as free KT taping for runners. There were also lucrative lucky draw prizes worth more than RM 25,000 up for grabs, including ten pairs of Sworke Primus with polarised lenses and grand prizes of Apple iPhone 6S and an LG LED Smart TV. During that day the young ones has been the lucky one who grab the most waited grand prize. So lucky both young boys! Official sponsors of the IJM Land Half Marathon include BMW Millennium Welt Seremban, Sworke, TDK, 100 Plus, Ice Mountain, Mydin, Matrix, Yakult, McDonald’s and Spine & Joint. The IJM Land Half Marathon 2016 is also supported by media partner Sin Chew Daily, medical partner SEHAT Medical Wellness Centre, technical partner The Event Crew (TEC) and official apparel, Reverse. 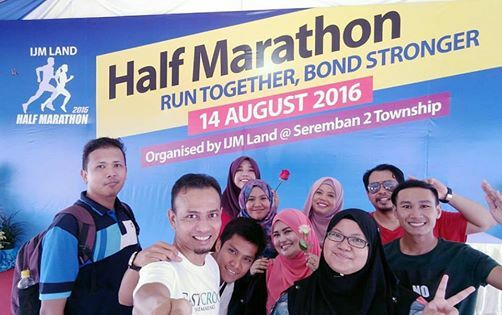 And save the date for next year IJM Marathon on 16th August 2017! For more information on IJM Land Half Marathon 2016, visit www.ijmlandrun.com . As part of IJM Corporation Berhad, a strong sense of responsibility drives our business and our 600-strong team. What defines us is our customer passion, innovative spirit, drive for excellence and sustainable practices. With a Gross Development Value (GDV) of RM30bil, we maximise our portfolio of undeveloped landbank of 4,500 acres, which spans across key growth areas in Malaysia (Penang, Pahang, the Greater Kuala Lumpur, Seremban, Johor, Sabah and Sarawak), and as far reaching as Vietnam, China and the United Kingdom.